Huskies are a very strong-willed and an intelligent breed. While they are highly trainable, they will only carry out a behaviour asked once they see the point of the order knowing what is in it for them. 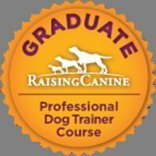 However, with proper positive reinforcement training,boundaries, structure and patient guidance, Huskies can be cheerful and genuinely affectionate toward the owner and his family. They always seek adventure and love to roam around and explore its surroundings, making them ideal jogging companions. This dog should not be left alone, though, as it gets bored easily and has the tendency to become destructive and even escape by jumping over walls or fencing or digging underneath. Making recall training (coming when called) harder with this breed. They are bred to pull so loose leash walking takes patience and proper training as it's not a natural occurring behavior for a Husky. 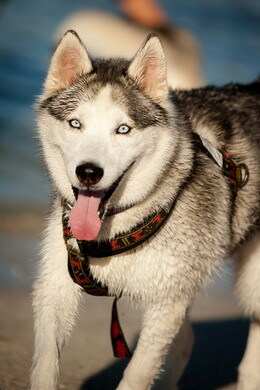 Huskies have plenty of energy making them very enthusiastic about exercise. They are prone to have a high prey drive making them not the best companion to have with smaller dogs,cats or birds. Huskies are not guard dogs as they will invite a intruder in as they are very friendly dogs. Huskies howl. They don’t bark, generally speaking. Through social facilitation some Huskies do learn to bark from other dogs.Huskies can be very vocal which can be a treat for a Husky enthusiast but for the not so keen it can become a nuisance and something a perspective owner should consider before getting this breed. 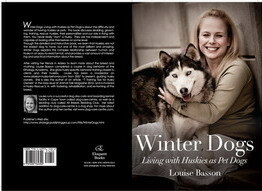 For more in depth detail on this wonderful breed read the following book.